Daniela started her career as a high school teacher but soon realized that she wanted to focus on special educational needs within the Italian inclusive school system. She has pioneered ways of teaching pupils with learning disabilities, enabling them to develop their capabilities in ordinary social situations. In partnership with local companies and associations she has created projects like “At the supermarket” where a simulated supermarket environment is created at her school ITSE C. Colombo in Porto Viro. Other students are included in these projects, leading to respect on all sides combined with collaborative learning and an introduction to the world of work. 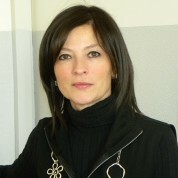 These projects led to her being named Best Italian Teacher of the Year in 2010, and the project received certification from the regional school authority. Daniela spreads her knowledge by co-convening special education workshops for future teachers at the University of Padua and working with the provincial school office. In addition, she collaborated with the municipal administration regarding violence against women.